Comp Cams Xtreme Energy series are perfect for any street or street/strip application where both throttle response and top-end horsepower is desired. These camshafts are designed to take advantage of the latest and greatest in valvetrain technology . Their aggressive lobe design produces better throttle response and top end horsepower than other cams with the same duration @ .050'' lift, while delivering increased engine vacuum. 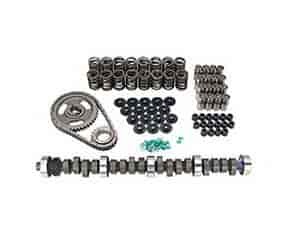 We do not recommend the use of stock valve springs with these camshafts due to the aggressive lobe designs. Does COMP Cams K31-230-3 fit your vehicle?